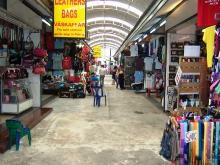 Phuket Markets allows visitors to the Island a true Thai shopping experience!!! 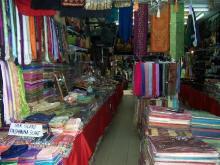 Shopping in the local markets is an experience and a must do when holidaying in Phuket. It is here that you will find some of the best buys in Phuket. If you truely want to experience Thai shopping, head to one of the many markets in Phuket and enjoy the entertaining and fun experience. 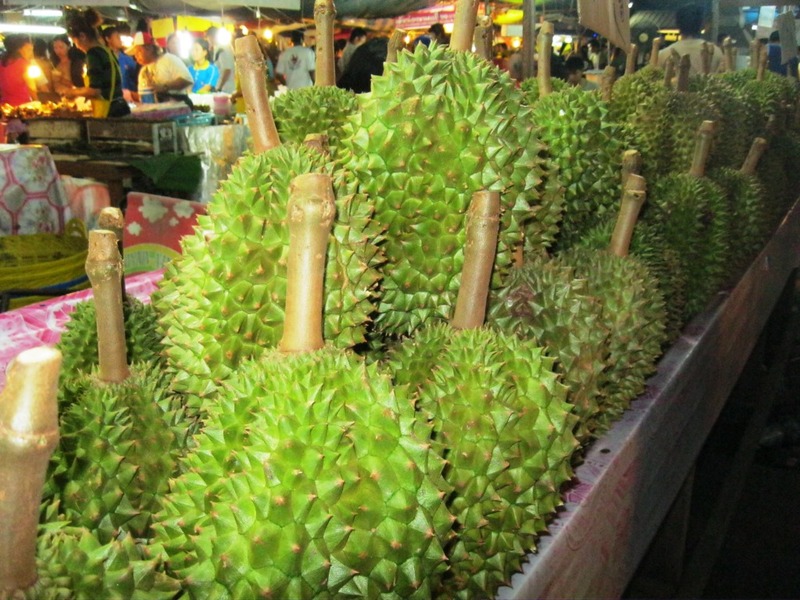 We have put a list of the best Phuket markets that we have found as a guide. OTOP markets are a nationwide initiative developed by the Thai Government to create jobs and produce income from products developed with local culture to enable the communities to be independent and to promote Thai wisdom. An OTOP market can be found in Patong at the Southern end of Rat-U-Thit Road behind the Holiday Inn Phuket. There are some great bargains here and it is not to crowded, you will find fake designer labelled jeans, T shirts, cargo shorts, bikinis and much more. If you or hubby need to have a break from all the shopping at OTOP, there are plenty of bars to choose from to enjoy a nice cold beer. Below are prices of what we have paid, these prices are to be used as a guide only. Phuket Town Weekend Markets are the largest and the most popular of all Phuket markets. The weekend Phuket markets are open every Saturday and Sunday from 3.00pm and are located off Chaofa West Road opposite the Nakha Temple, Phuket Town. You can buy a range of clothes, shoes, bags, CD's, jewelry, home decorations, souvenirs and a range of fresh food. Make a night of it and try some of the local delights at the Weekend Phuket Markets. Prices that we have paid are to be used as a guide only. 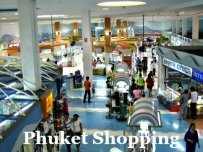 Shopping tours are available for the weekend Phuket Markets, click here or on the shopping tour link below to read more about the Phuket Markets tour. Chatuchak Market is named after the massive Bangkok weekend market, it is much smaller and doesn't have the size or range of goods as the Bangkok markets. This market is popular with the locals, although lots of the stalls moved to the Phuket Town Market. The market is open on Saturday and Sunday, from early in the morning and is located in Phang Nga Road, Phuket Town. 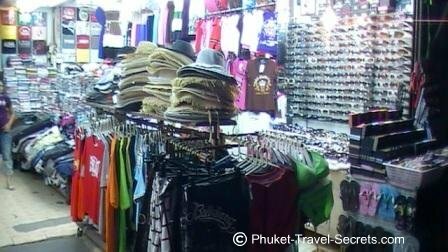 The Expo Phuket Markets is an indoor clothes market where you can get some great deals, it is located on Tilok U Thit 2 Road in Phuket Town and is open 7 days a week. The Downtown markets is the Islands main fresh food market, the earlier you are there the fresher the food, it is located in Ranong Rd in Phuket Town. 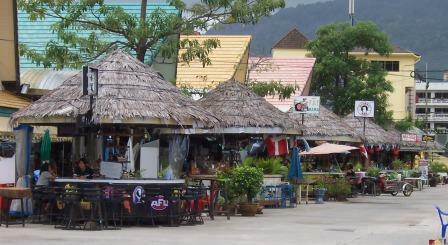 The beach side shops are located throughout the main tourist areas of Phuket. An interesting experience for the first time visitor to Phuket. We have found that the quality of the goods at the Phuket markets are not as good as they were over 25 years ago, but there not to bad considering the price. Before purchasing billabong shorts & shirts and other goods, shop around for the better quality items. Some are better than others! When buying goods at these shops you may be taken into hidden back room or another shop away from the main shop, don't be alarmed this is normal. 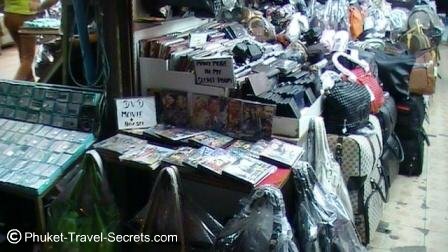 When purchasing DVD's always ask to view the DVD's before you purchase them to make sure that the quality is good. Banzaan Markets are located at the back of Jungceylon, here you will find a colorful selection of fresh fruit and vegetables, fresh seafood and meat. The Banzaan Markets was once a great spot to go where you could purchase Billabong T Shirts and shorts, jeans and a range of other goods. However over recent years the old markets have been removed to make way for a new look fresh food market. There are still a couple of shops located upstairs above the fresh food market selling clothes and shoes. There are many more markets located across the Island this is just a short list of our favorite's. We hope you enjoy the experience of shopping at the Markets in Phuket as much as we do.